If you would like personal service, please contact us Monday - Friday 8 - 16 UTC+1. Witch model and colour do you want? 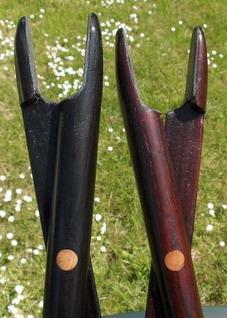 Which length do you want the rifle stick to have? Do you shoot from your right or left shoulder? Should it be engraved? With initials, roebuck etc. Do you need anything else like a sling? Do you want to have the goods delivered or are you collecting it here? If we do not here anything else your rifle stick will be made for someone who shoots from their right shoulder. Please remember to specify if you shoot from your left shoulder. 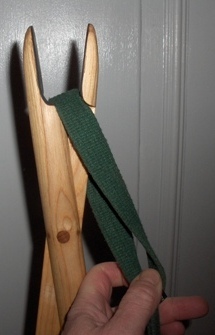 You will then have a rifle stick that is easier to open with your right hand. Here you can get the perfect gift for the hunter who thought he or she had everything! Please order as soon as possible to assure that gifts can be delivered in time. The best choice you can do for the climate is to choose products made out of wood! Please notice that all orders has to be paid in advance. Please contact us for information on cost for freight if you do not live in the United Kingdom or Ireland. You are also of course welcome to collect your goods here after appointment. You can save money by ordering several rifle stick to be sent in the same package. Personalize with initials, mark or coat-of-arms. 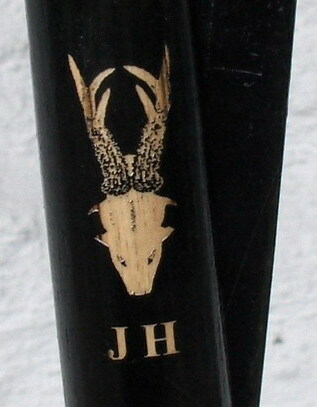 It costs the same, if you order the laserengraved initials with or without my drawings (roebuck, boar, Chamois, mufflon or woodcock). 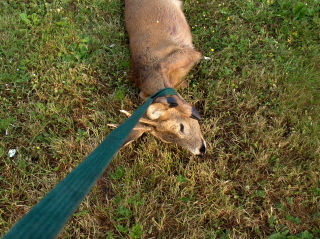 The rifle stick sling is used when dragging a deer etc. 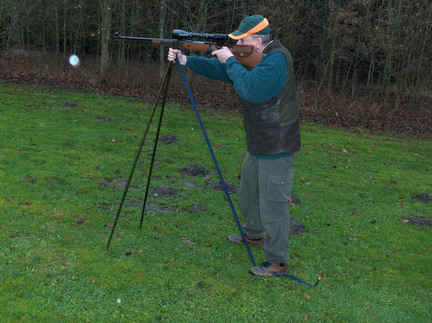 or as support to wooden bipod. 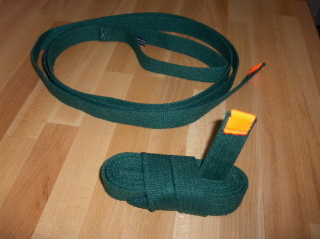 The sling is for the moment only available in green webbing. 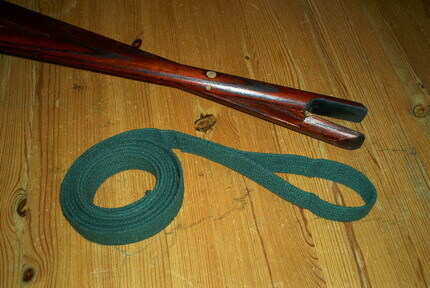 Heavy sling in green cotton with a loop for the bipod. 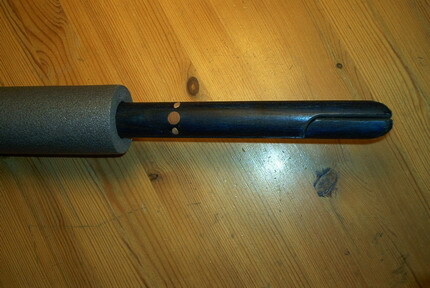 the third leg together with the rifle stick. 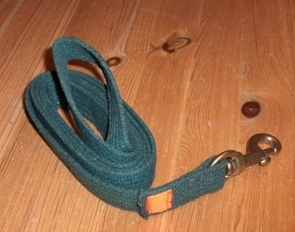 used as a combined strap and dog leash. Also a rifle stick will over the years be used and worn down. In the workshop you can extend the life of the bipod. Freight will be added. damages as crack and split. All prices are based upon the Swedish price list and the Swedish krona (SEK). The prices will follow the exchange. The Swedish price list is valid until further notice. Changes in in the cost for package, freight and engraving can occure. 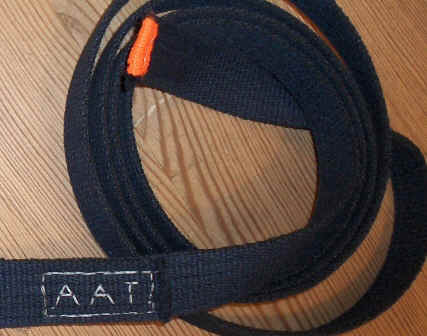 Swedish VAT is included in all prices.